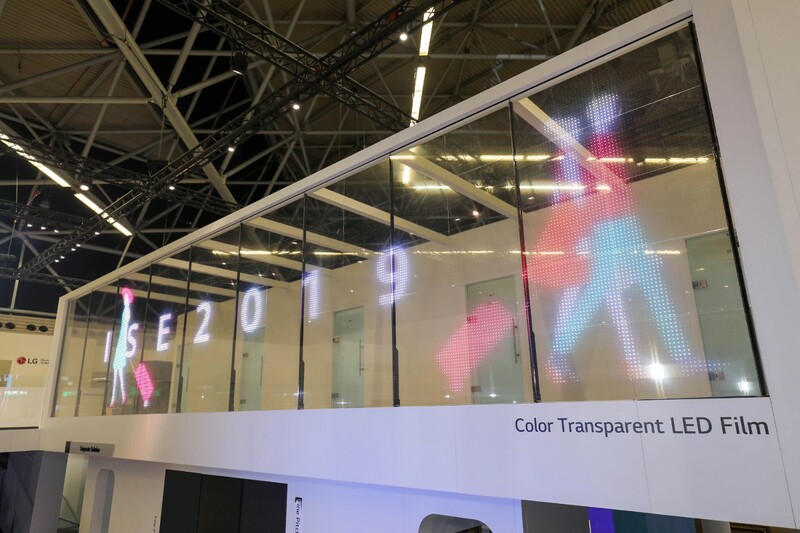 Last week at Integrated Systems Europe (ISE) 2019 in Amsterdam, Korean electronics producers LG and Samsung both introduced their latest LED and OLED technologies for signage applications. 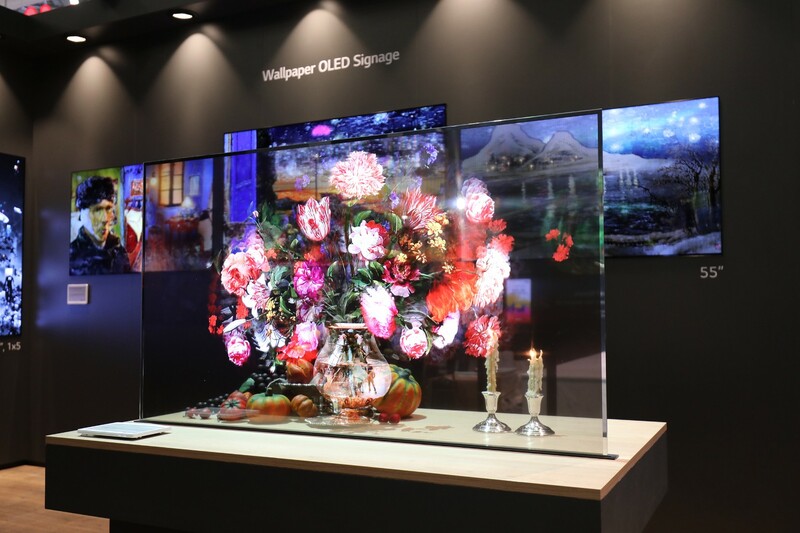 Samsung presented a range of 8K digital signage products including QLED displays and the 2019 version of The Wall display while LG demonstrate a transparent and curving OLED signage as well as a full lineup of LED products. 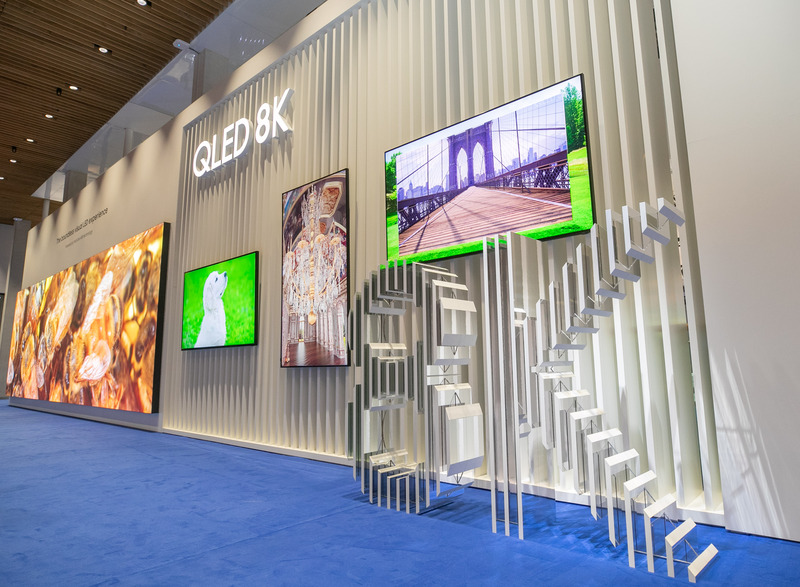 Samsung showcased a new 82-inch QLED 8K signage, a 292-inch The Wall display in 8K, Multi-Link LED HDR technology and semi-outdoor Signage solutions. The new 82-inch QLED 8K Signage applied AI upscaling technology to produce lifelike images with a resolution of 7680 x 4320 pixels. The display also features HDR10+ along with 4,000nit brightness and provides 100 percent color volume. 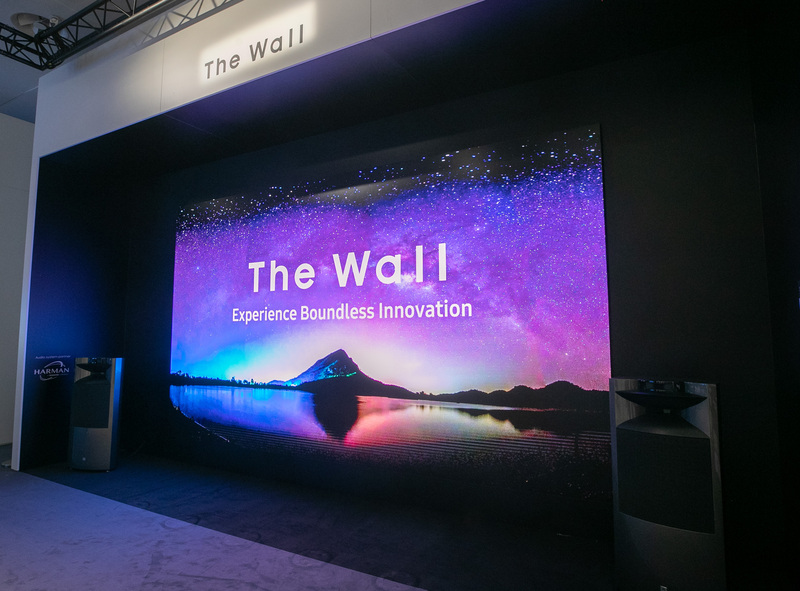 Featured with its modular design, Samsung’s The Wall display can be customized into different sizes and ratios from 73-inch to 292-inch. It can also be blended subtly into various surroundings with its bezel-less character. In addition, Samsung introduced Multi-Link LED HDR, the industry’s first 8K LED HDR technology. Using Samsung’s proprietary algorithm and scene analysis, Multi-Link LED HDR turns any content into HDR quality, without special meta-data. Meanwhile, LG exhibited its Transparent OLED Signage which shows images with its 38 percent transparent display. Its open frame design can be tiled, making it perfect for large spaces where customer interaction can seal the deal, such as in an automotive showroom. 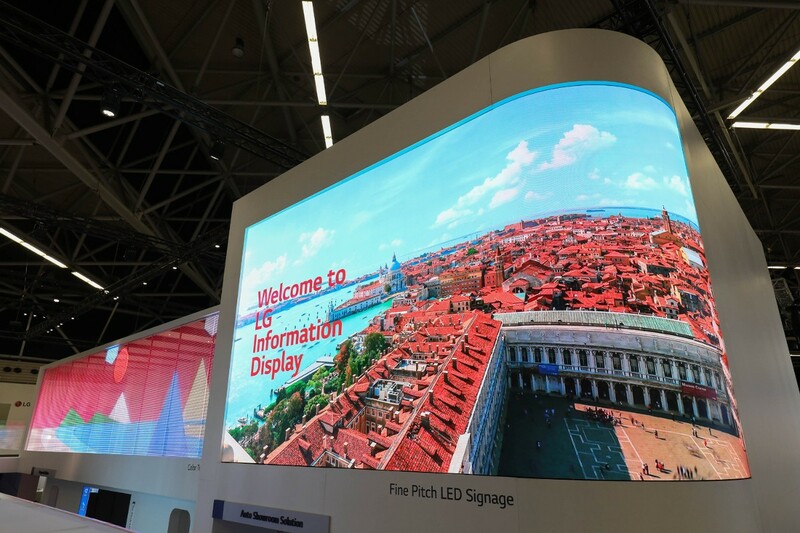 LG also presented fine-pitch LAPE series of LED displays that separate the power module from the screen, resulting in an ultra-thin profile for a more streamlined installation. Moreover, its LAA series bezel-less 130-inch LED Screen with embedded audio system allows users to communicate and share images without the need for external speakers. The pixel pitch of the display is 1.5mm. Finally, LG’s Color Transparent LED Film is a large-size solution that can be applied to any-sized glass surface to transform it into actual digital signage. With a maximum transparency of 73 percent, the glass retains its original properties with the film being unnoticeable when not in use. The film itself is self-adhesive and can be removed easily with no sticky residue. Delivering a wide range of colors at 24mm pitch while still maintaining high transparency, this unique solution is suitable for displaying everything from brand logos to full-color videos.